Who Has a Right to Make Our Choices? 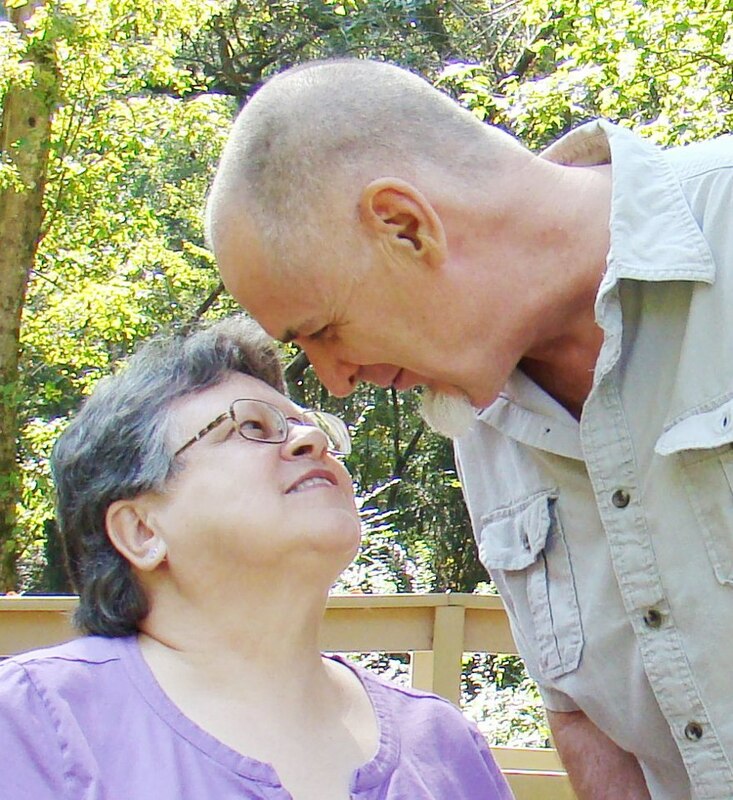 My husband and I are “young” seniors, who have dealt with multiple disabilities our entire lives. Some of these disabilities are becoming more visible as we age. Both of us have worked hard to reduce our challenges. This means that we have had to address our barriers regardless of what other people would like to see us do. We embrace the freedom that mobility and technology accommodations provides us. Some of our disabilities require alterations to daily living routines and traditional ways of eating. We enjoy sharing information with other people, so the frequent question “why?” provides opportunity to talk, in general terms, about hearing loss, cochlear implants, Asperger’s syndrome, food sensitivities, and Mitochondrial Disease. However it isn’t always easy, because disabilities can be extremely variable. They fluctuate in response energy reserves, weather, degree of sensory stimulation, health, and mood and basically everything physical, mental and environmental. People tend to understand “total” easier than “partial”. Explaining hard of hearing, partially sighted, food sensitivity, weakness and discomfort is considerably more complicated than explaining deaf, blind, food allergies, paralysis or pain. The greater detail required to explain “why?” the more awkward and embarrassing it becomes. Now the question: How do we make our choices for personal disability accommodation? Do we consider what works best for us, or do we deny what is best for us because of the comfort level of peers, coworkers, family members, acquaintances, professional service providers and society in general? It is a work in process, but my husband and I have found what allows us to be comfortable and productive. It isn’t always easy, as we march to a different drummer, but we live life to its fullest. 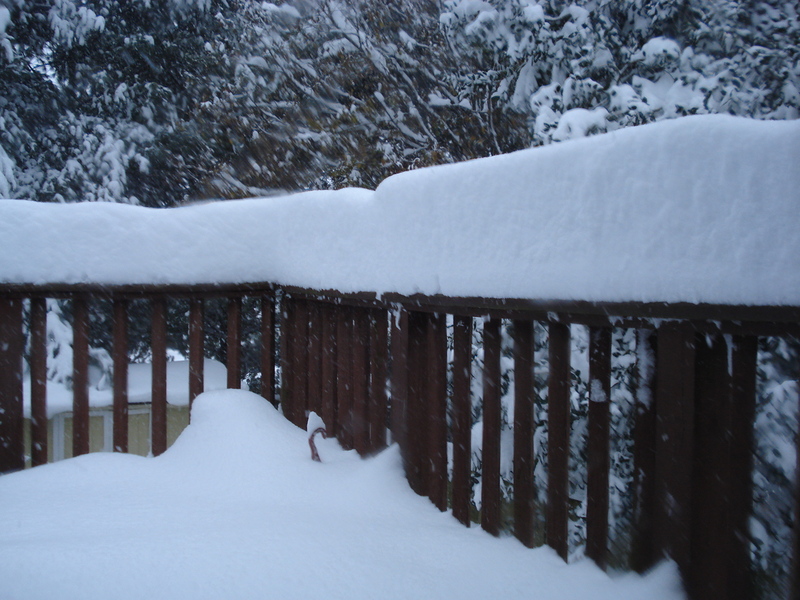 Last week, most schools closed both Thursday and Friday. Since my entire family works at a school, that meant we were all home. By Friday afternoon I was BEGGING my husband to get me down the hill and out of the neighborhood. We unburied the car, unblocked our space that the snow crews had “accidentally” blocked off with huge mounds of snow, warmed the car up for ten minutes, and escaped. It was also Valentine’s Day. My husband knows better than to get me chocolate or flowers. I love cards. I love to eat out. (Something to do with not having to fix it or clean it up?) So we went on a “date”. I was thrilled. Not only had I escaped the house but now I was going out to eat a late lunch for Valentine’s Day. I’ll admit it. I wasn’t thinking about “pottying my service dog” at home where I had cleared out a space in the grass so the dogs could easily go. My mind was on one thing. Escape. So by the time we arrived at the restaurant, it took seconds for me to realize my mistake. I had forgotten that snow plows pile up the snow on the mulch, grassy areas, or right on the other side of the sidewalks so that the walkway is clear. You can only get to the grass if you climb up a huge man-made snow drift! We got out of the car and my husband looked around. “Gosh. Can you believe it? What are people with service dogs suppose to do?” he said with heartfelt exasperation. I looked at him quizzically for a second or two before responding. “Ummm. It’s not THEIR fault that I didn’t take care of pottying MY service dog before I left home”. I was so proud of myself. I practically beamed from the inside out. There may have been a faint glow coming out of my ears and nostrils. Yup. I’m pretty sure I was beaming. You see? The only person who is responsible for making sure my service dog’s needs are taken care of are ME. There was a time when I advocated very poorly. Do you know I never once improved my situation by poorly advocating? Poor advocacy is accomplished when your attitude is wrong. These wrong attitudes can include a critical spirit, self-pity, self-righteousness, indignation, pessimism, and a persecution complex. Sometimes people with invisible illness or disability advocate poorly because we are fed up. Maybe you have faced very real discrimination. This can make us feel defensive. Worse? It can make us go on the OFFENSIVE. However, advocacy is similar to a trial. We plead our case, provide evidence, and attempt swaying another to do the right thing and perhaps facilitate change, follow the law, understand our predicament, or simply raise awareness. It was not the responsibility of Outback Steakhouse to make sure my service dog had an easily accessible place to potty before entering the establishment. Had I gone in and demanded accommodation for something like that I wouldn’t have gotten very far. I did let them know that the crew they hired to plow their parking lot had piled a bunch of snow up in a handicapped space, “… and what was someone to do who wanted to eat out and had mobility issues, needing the space?” (I’ve noticed people listen to a person with disability advocating on behalf of another with disability). FIGHT FAIR. That’s right. Sometimes you may have to fight to make sure your rights as a person with disability or invisible illness are upheld. But remember, this is about equality, not superiority. In the end, you want to sway others to your way of thinking or to understand the law. This isn’t about special privileges, recognition, or “it’s all about me”. That has never defined advocacy. Maybe speakers do this because we often use talents and skills together to accomplish goals? I’m all for that. 1. a special natural ability or aptitude. 1. the ability, coming from one’s knowledge, practice, aptitude, etc., to do something well. So a talent is something we are born with and something we are naturally gifted at doing. Some folks are athletic (I hate ’em – just kidding!). Some are talented musically. Some people are artistic. My sister in Texas has two little boys that I love hearing about through Facebook. Both my kids are in their 20’s, so it is fun to re-experience “childhood” through my nephews. One of her boys is very artistic. He was drawing very early. The other is very athletic. Talents are things we can EASILY do, because we are talented with that ability. We can practice and improve our talents, but these are things we do almost automatically that other folks have to really work at to be even half as successful. Skills are developed and honed. Skills can be so well learned that they eventually look like talents. I had a friend who was a gifted pianist. I told her one day, “I envy you this talent! You make it look so easy!” She set me straight right away. She had spent decades in piano lessons and practice hours, developing a skill in playing the piano because she enjoyed it so much. She was firm about it not being a talent, however. “I wasn’t born musical, nor in a family who even enjoyed music. I had to work hard!” For her, playing was a skill, one she has mastered. Skills can be something we learn that are something we are not actually talented at doing. Maybe you need the skill for a job. Maybe you developed a skill to improve your life. People with disabilities are born with talents as well. ; even if the individual has a congenital challenge and not an acquired disability! I have met people with significant challenges who displayed (and proudly showed off) wonderful talents. They may have had to learn how to use their talents in an nontraditional way, but they find a way to showcase their talents. One of my favorite “differently abled” people is Joni Eareckson Tada. She was injured as a 17-year-old in a diving accident. She would live the rest of her life as a quadriplegic. You can’t feel sorry for Joni, though. She is a talented artist (she paints with her mouth), song writer, and singer. Was Joni artistic before her accident? I just don’t know. I don’t know if her ability to live life enjoying and using specific things and abilities, are talents or skills for her. That isn’t the point though. In spite of significant challenges, she creates things that are so wonderful, they touch the lives of others. Do you have a disability? Do you live with invisible illness? A chronic illness or difficulty? You have talents. We all do. Some discover them much sooner than others. Some may have to RE-discover talents if a disability is acquired later in life. Skills are something any person can develop. People with autism, folks who live with paralysis, individuals who live with terminal illness… all can develop skills. Do you remember the definition of skill? “… the ability to do something well”. This can produce healthy, positive self-esteem. This can benefit others. Everyone can develop skills – though it may seem really difficult at times and you may have to make a lot of adjustments! At a very young age I discovered writing. By “discover” I mean that I found out that writing put a smile on my face… a pep in my step… a wiggle in my – erm. I use to love to play “school” (much to my younger siblings dismay). I had stacks of journals and diaries. One of the biggest WOW moments in high school was when my respected English teacher, Mr. Summers, told me “Denise? You should become a writer. 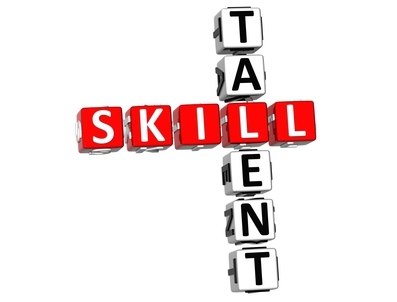 You are talented and skilled“. Wow. He used BOTH. I carried the glow of that compliment all through my early adult years. I have been writing ever since. You may have a “new” for you challenge or difficulty. Your talents haven’t changed. Your skills have not changed and you can still learn new ones. You may have to work at it harder or approach things in a new way. Don’t give them up. You can even learn new skills – using a talent! I have a late-deafened friend who is a talented photographer who is still “learning” and practicing, but did so after she became profoundly deaf (now with CI’s). Another friend began dancing, and is in numerous competitions and showcases each year! Don’t be afraid to dream. You, too, can DO IT!